As a wife, my goal is to make healthy and delicious meals everyday. As much as possible home cooked meals but there are days I also ran out of recipe ideas. So the first thing I do is grab my cookbook or watch the latest cooking show on local television. I always discover yummy dishes and cooking tips. The next thing I’m in the kitchen trying to immitate what chefs taught us. When GMA network invited me to the launch of their latest kitchen/food segment, San Miguel Pure Foods Home Foodie, I did not think twice. 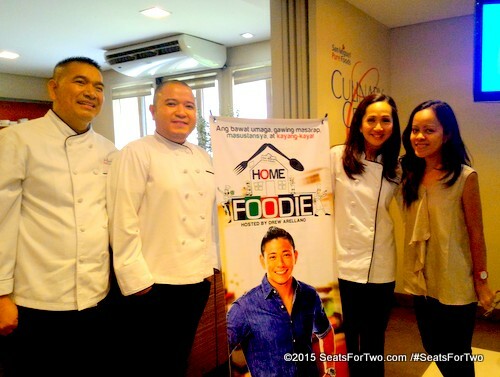 Home Foodie is the newest GMA Network kitchen show featuring food discoveries using San Miguel Pure Foods products. 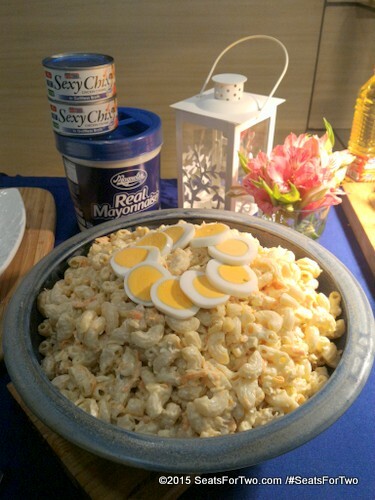 It aims to teach us “masarap, masusustunsya at kayangakaya pagkain”. 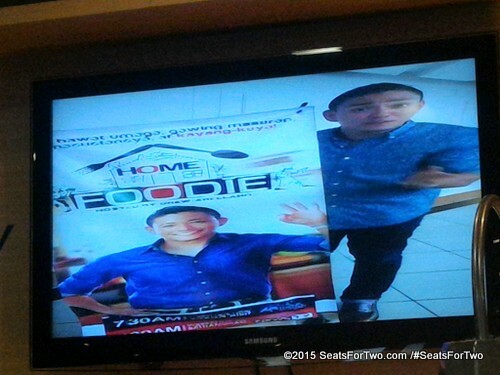 Unlike other cooking show, Home Foodie is 3-minutes cooking demo complete with cooking tips made for busy individuals. You can immediately get ideas for your household’s meal plan for the day! One of the things that excite me is knowing that it will be hosted by Drew Arellano. Because Home Foodie wants men to cook and be active in the kitchen. 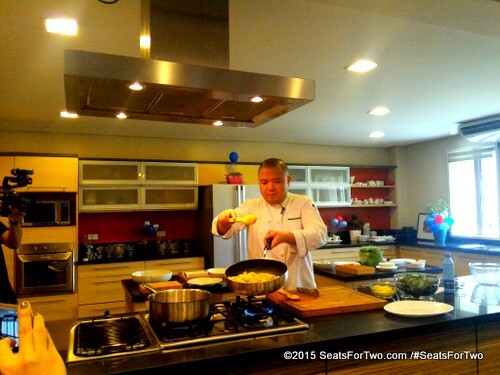 So Drew Arellano is the perfect host with his wide knowledge about travel and food. 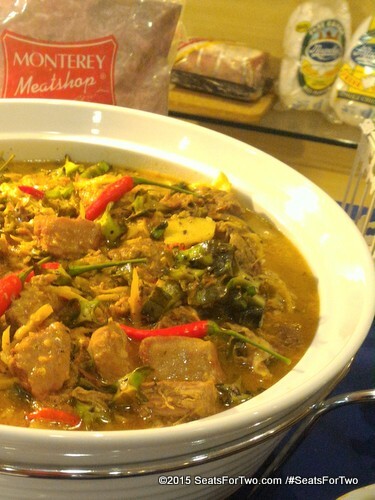 The launch was held at San Miguel Pure Foods Culinary Center. 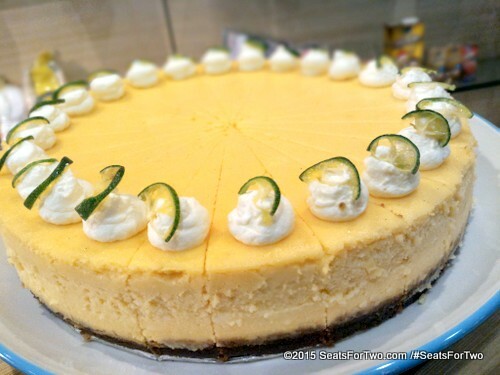 Here, we were treated with sumptuous dishes which will also be featured on Home Foodie. My favorite dish was the Kampto and Sigarilyas dish and fried chicken. We also learned kitchen tips from the chefs like using cream to replace coconut milk. Follow our couple adventures through Seats For Two by subscribing to our blog through email and liking the Seats For Two Facebook Page. Follow our Twitter and Instagram Him & Instagram Her accounts too! Watch and learn from San Miguel Pure Foods Home Foodie beginning August 10, Mondays to Fridays, after Unang Hirit on GMA 7. And beginning August 15, every Saturday and Sunday, within Balitanghali on GMA News TV.